English Premier League Fandom in Nigeria: A Remnant of Imperialism? Chelsea. Arsenal. Tottenham. If these words ring bells to your ears, likely you begin to visualize many things: a soccer ball, several men kicking and running around a beautifully-textured pitch, and rambunctious fans singing chants in support of their favorite team. If you care enough about where this is being situated, you start thinking about the red telephone booths, the double-decker buses, and Big Ben. Your mind is in London, home of the magically nicknamed Blues, Gunners, and Spurs… the three aforementioned teams in this blog. But the thing is… if you heard these things in real life, you might be nowhere near Big Ben. You might be in the streets of Lagos, Nigeria where thousands of Premier League fans gather in bars and clubs every Saturday afternoon to watch the biggest clashes in the sporting world (Goldblatt). From clashes of the titans like Man United versus Chelsea to relegation battles like Fulham versus Cardiff City, many Nigerians are spending much of their daily time following a football league in a country 4000 miles away. Imperialism has long-lasting effects in the transfer of something so universal from the imperial rulers to its subjects. And in the 21st century, the era of the globalized economy, it makes it easier than ever for one to revisit the culture that was placed at a helm over their own through a cultural amenity like association football. Nigeria, which used to host one of the strongest football leagues in Sub-Saharan Africa, has now seemingly shifted focus from its own domestic clubs to those of their former colonial hosts. There were developments in technology and globalization that allowed this phenomenon to happen, but ultimately, imperialism helped strengthen this bond between Nigeria and its consumption of the English Premier League. These developments in technology such as the rise in color television in lesser developed countries in Africa and Asia allowed for this globalization of football. As leagues in football powerhouses such as England, Germany, and Spain found new potential markets to promote their brand of the sport, they began to deregulate their media rights. By the early 1990s, coinciding with the inaugural seasons of the English Premier League, TV channels throughout Africa, especially in the former British colony of Nigeria, were able to air EPL matches on a weekly basis. Those that could afford color televisions with cable access were able to use their privilege to arrange social outings solely around food, alcohol, and football fandom. Many African fans began shifting their focus from their domestic leagues to European leagues which had more history, fortune, and burgeoning access to global talent (Hann). Imperialism also ties these technological and economic developments in the major fan following of the EPL in Nigeria. Due to English colonialism, today, an estimated 53% of Nigeria’s population can speak English. This means that many Nigerian fans of the EPL not only have the ability to watch the Premier League games, they can follow their commentary too. Nigerian fans may follow English-speaking football pundits and learn through an expert’s perspective of the game. With the Internet and rise of social media throughout Africa, Nigerians are also able to connect with fan bases of their favorite teams throughout the world with their knowledge of the English language. Different cultures abide by different strokes. It’s impossible for every cultural amenity of a host culture to translate well enough to a local culture—it’s unlikely that yorkshire pudding will ever become the de facto national dish of the United States. However, if something universally accessible like football does make that breakthrough from the host culture to the local culture, then the local culture will find inspiration in it from those who have given it to them, even decades after their presence. In Nigeria, English colonialism has proven to have long-lasting effects in the way Nigerians perceive fundamental concepts such as language and sports. We can see this in the way Spain’s La Liga is received in its former colonies in football-crazed Latin America. In Mexico, in particular, the English Premier League receives limited attention, despite being the most popular league in the world. The only European league that can match the attention its domestic league receives is that of España. Many Mexican fans are willing to wake up early in the morning to prepare for El Clásico, the clash of two Spanish football giants Real Madrid and Barcelona, when it rolls around twice a season (“México, El Segundo País Más Importante Para La Liga”). Like the fans in Nigeria, fans in Mexico are able to follow the football commentary and punditry of its former colonial hosts due to their knowledge of the language that was brought upon them through imperialism. And in the same way many young Nigerian boys dream of playing in the EPL under the lights of Old Trafford, many young Mexican boys dream of playing in La Liga under the lights of the Bernabeu. As the game has become more globalized, scouts from England’s footballing giants have signed young African talents over the last few decades, piquing the interest of the EPL throughout many African countries. 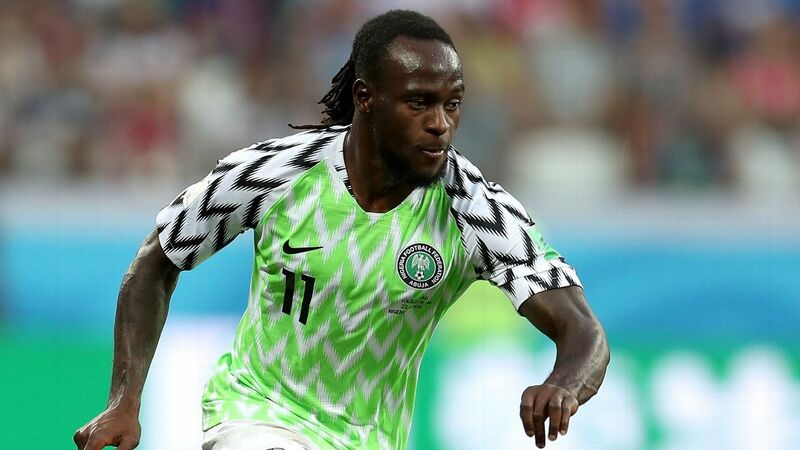 From Nigeria, prominent players such as former Arsenal forward Kanu and the current Chelsea winger Victor Moses have proven their country’s footballing prowess on the world’s biggest stage. These successes are properly reflected as footballing giants Chelsea, Arsenal, and Manchester United are respectively the most popular EPL teams in Nigeria. This African attention on European football has allowed countries like Nigeria and Senegal to achieve success and positive exposure on the world stage, but it also comes with a major downside: the domestic league receives too little attention (Adegoke). Not every Nigerian footballing talent will necessarily have the connections needed to receive attention from European scouts and make signings with youth football academies. For many young Nigerian boys, the domestic league is the most realistic way that they can prove themselves for higher levels of competition. Unfortunately, the domestic league in Nigeria is being neglected, and attendance for even the biggest club matches remains low. Corruption runs rampant in Nigeria’s domestic football system, and if the nation’s talent simply wants to move to Europe at their first chance of getting noticed, none of these issues get resolved. On a concluding note, the EPL will likely remain at the top of every Nigerian football fan’s mind and we shall expect more young stars to play in the league such as young Arsenal winger Alex Iwobi. But the popularity of the EPL amongst Nigerians shall not be the reason that the Nigerian domestic league fails on a consistent basis to attract local fans. If Nigerians want to take the game one step further and eventually win the World Cup, they might have to start investing in their local teams. Not every young talent will grow into the next Iwobi, but more of them will have a chance at relative success if the domestic league can get the support that it gets in other football-crazed former colonies like Colombia and Mexico. Adegoke, Yemisi. “Why Do Nigerians Love the English Premier League?” CNN, Cable News Network, 21 Aug. 2017. FIFA.com. “Football and Television : A Natural Partnership.” FIFA.com, FIFA, 31 Oct. 1997. Goldblatt, David. “From London to Lagos, Exploring the Premier League’s African Appeal.” Bleacher Report, Bleacher Report, 3 Oct. 2017. Hann, Mark. “Why African Fans Love European Football – a Senegalese Perspective.” The Conversation, The Conversation, 14 Oct. 2018. “México, El Segundo País Más Importante Para LaLiga.” Marca.com, MARCA.com, 28 Aug. 2018.